Friday 21 May we finished our run on the Natchez Trace and join the chaos that is the interstate making our way to Jackson enroute to Memphis. Peter wanted to visit the Delta Blues Museum in Clarkdale which is a bit off route but we go. It turned out to be a bit of a disappointment, written up much better than the actual place, but had we not gone we would always have wondered if we missed a treat. Arrived in Memphis around 4pm. 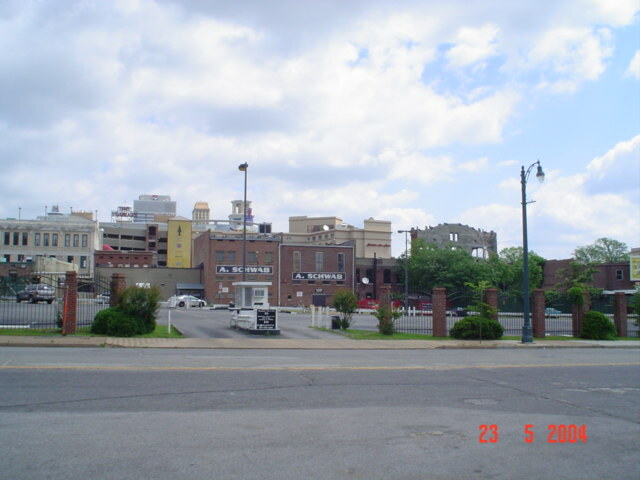 Checked in, showered and then out, we were very close to Beale Street, the whole place seemed much smaller than I imagined it would be, so was easy to get round. Did a bit of shopping then headed off for drinks and blues. Very hot today 90 degrees. 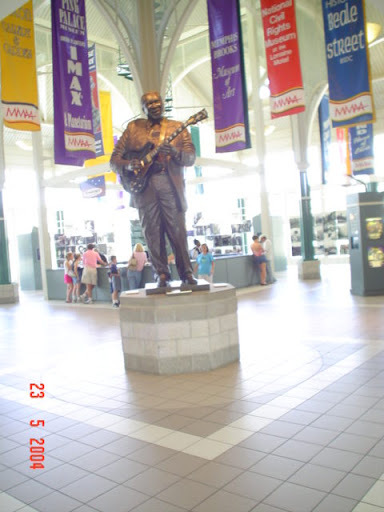 Sunday 23rd we headed over to the Memphis Rock & Soul Museum and did a self guided tour then followed this up with a visit to the Gibson Guitar Factory where we ended up being the only 2 on the tour, so we had a really interesting visit. 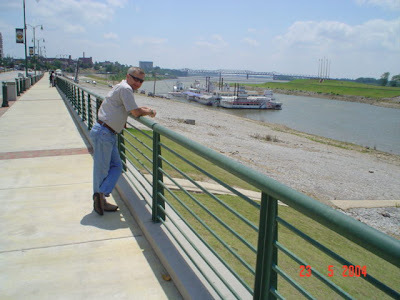 Following lunch we walked over to Riverfront Park and on to Mud Island, it was lovely and breezy down by the river so helped with the heat. As we had spent the best part of the day walking, we treated ourself to dinner in the Blue City Cafe for some "south in our mouths", I had catfish and Peter had tamales and chilli, which I tried and wasn't that impressed with, though washed down with a few margaritas they improved!! 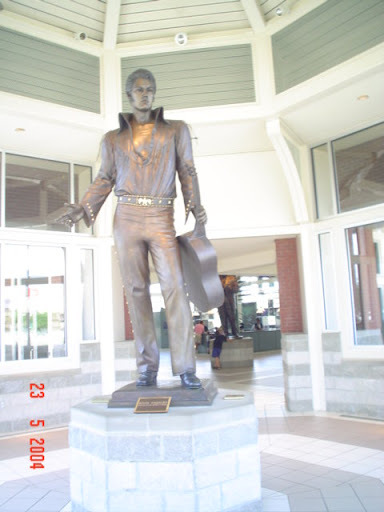 Monday 24th - Gracelands, now I'm not really an Elvis fan but as we were so close we decided to take a look. First impression was that it was actually a smallish house. Second it was in a awful location. The man had no taste in interior design, so so tacky. I actually can't believe that we paid good money to see it all, but there you go, only took an hour at most. Then off to get Peter a haircut, before heading on towards Chicago. We took scenic Route 51 up through Kentucky spotting some Amish Farmers in their horse and buggys. Arriving on the border of Illinois staying overnight in Cairo on the Mississippi River.....umm only one hotel on the edge of town so made do with that and then had a quiet dinner in a diner in town, spent the evening with the maps, weather channel and a vodka and coke. Tuesday 25th - Long driving day 389 miles, atmosphere was really weird and I had an allergy attack, eyes streaming. Lots of storms brewing but we managed to get to South Holland a suburb of Chicago without getting wet. Checked out a hairdresser for me for the Wednesday, booked an hotel for central Chicago, dinner and an early night. I've never been an Elvis fan either - although there are (were?) many! It doesn't surprise me that you found Graceland tacky. I always imagined that his house was like his costumes glittery and way over the top. Was there anything on your trip that really surprised you? Or that you thought why do those crazy Americans do that? I'm curious about what you thought things would be like and how they turned out. Now onto Chicago - I've actually been there (once) for a business conference! I was hoping you would share more about your trip. I've been recording some of these places as "must go" for the future. Although probably not by bike, I'm not that adventurous.